Reports focus on progress with Smart Factory web testbed results, as well as welcoming Microsoft as new team member. 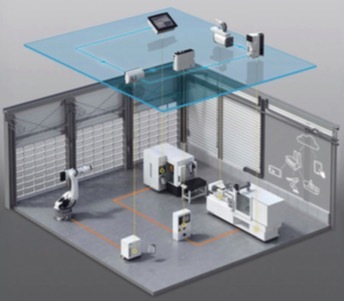 Smart Manufacturing Connectivity and Track and Trace testbeds also provide new results. THE INDUSTRIAL INTERNET CONSORTIUM has announced results and updates to its Smart Factory Web Testbed. Smart Factory Connectivity testbed setup. The testbed welcomes Microsoft as a member to the testbed team, joining Fraunhofer IOSB and Korea Electronics Technology Institute (KETI). The Smart Factory Web Testbed has two operational smart factories at Fraunhofer IOSB in Germany and two more at KETI in Korea. The testbed is based on a new business model for a web of smart manufacturing resources and assets that improve access to factory capabilities and optimization of equipment and interoperability via industrial manufacturing standards. The testbed uses Automation (Markup Language) ML, a neutral data format based on XML for the storage and exchange of plant engineering information, and OPC Unified Architecture (UA). OPC UA is a popular industrial interoperability standard with extensible data modeling capabilities, security and an array of different communication protocol bindings, including MQTT, AMQP, TCP/IP, HTTPS and more recently TSN. It can be used from sensor to cloud. Microsoft Azure will enable smart factories to build test, deploy and manage IoT web and services applications and to process data. This group has created requirements for a new standard for tracking & tracing assets. These requirements are being used by Object Management Group (OMG), which has begun the process to develop this as an IIoT standard. The IIoT has made self-contained environmental sensors ubiquitous in our daily lives. Through the work of the IIC Track & Trace Testbed, a need emerged for the manufacturers of sensors to be able to publish the required interpretation of the data that they produce via an Electronic Data Sheet. The testbed creates visibility along the value chain by tracking geo-location, both indoor and outdoor, and usage of key assets. The testbed, led by Bosch with IIC member participants Cisco and SAP SE, developed these requirements from the extra-logistics use case, which gathers data from transport-related assets to ensure transport SLAs are met and logistics chains can be optimized. The Smart Factory connectivity team has published the results of its initial deployment and completion of Phase One of the testbed. Technical information on these developments are available on the Industrial Internet Consortium (IIC) website: iiconsortium.org.